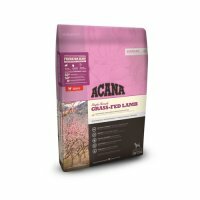 Acana offers premium food for dogs and cats | Order at Vetsend! 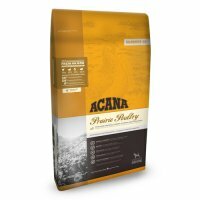 Acana is a premium brand from the company Cat & Dog Petfoods. Cat & Dog Petfoods is known for its top brand Orijen, among others. Acana stands for organically responsible ingredients, which they strive for in all food products. They use the finest regional fresh products. All ingredients are grown or caught in a sustainable way and delivered by local suppliers to the professional kitchens of Acana. Dogs and cats are carnivores and they only need small amounts of fruit and vegetables. This is the basic principle that Acana uses when producing its products. Acana dog food and Acana cat food is packed with fresh meat and fresh fish from local Canadian farms. 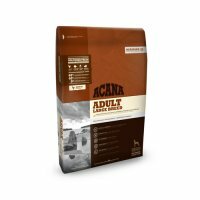 You could say that Acana wants to mimic the natural diet of dogs and cats. Acana's food is also Biologically Appropriate™. This means that the food is tailored to your pet's digestive system. Their products contain no odours, colourings, flavours or other additives and are GMO (Genetically Modified Organism) and are antibiotics free. Acana is available in different variants, each with its own characteristics. 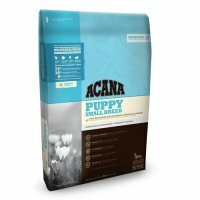 There is a diet from Acana for every dog or cat in every stage of life. 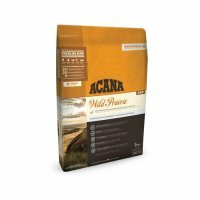 Acana Heritage is rich in meat, eggs from free-range chickens and wild caught fish. 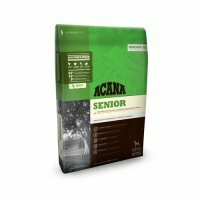 A well-known diet from the Acana Heritage range is the Acana Heritage Adult Dog. This dry food contains a lot of proteins that give your dog's muscles additional support. 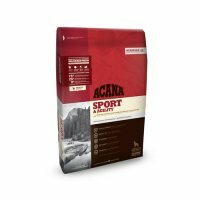 The Acana Singles contain only one source of protein and are therefore also suitable for dogs with food intolerance or hypersensitivity. With Acana Regionals you can give your four-legged friend a variety of meat and fish in combination with different kinds of fruits, vegetables and herbs. An example of the latter is the Acana Classics Classic Red. 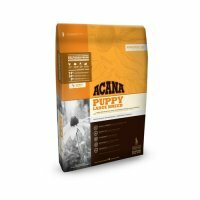 This delicious dry food is suitable for all dog breeds and gives added support thanks to the omega 3 fatty acids.